Activate Special Moves with a single button, and make use of special items to change the tide of battle! However, the fight isn't over the moment you've chipped enough health away. Once your opponent is on the ropes, utilize your Dream Finish technique to win the match! Spectate on other battles online, and wage on who you think will win using in-game points. Use your winnings to buy voice clips and accessories in an all-new costume system, and customize your favorite heroine to your heart's content! 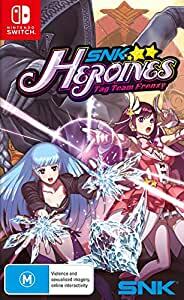 Assemble Your Heroines and Battle Head-to-Head - A brand new tag battle action fighting game is here! Players can participate in a four-multiplayer frenzy online or with friends! An Iconic Cast of SNK's Female Characters! - Choose from a generous roster of female heroines from the SNK universe! Defeat Foes With Style and Elegance - Coordination is key, as players can choose from up to 100 different accessories for their characters. Accessories including cat ears, glasses, face paint, and new sound effects. 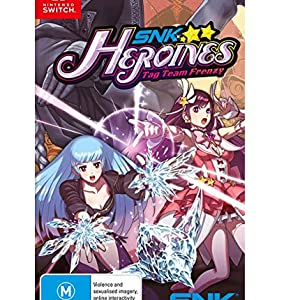 Play online or with friends as SNK's iconic heroines in the 2 vs 2 fighting game, Activate special moves with a single button and make use of special items to change the tide of battle. However, the fight isn't over the moment you've chipped enough health away. Once your opponent is on the ropes, utilize your Dream Finish technique to win the match. Spectate on other battles online, use your winnings to buy voice clips and accessories in an all-new costume system, and customize your favorite heroine to your heart's content. 5.0 out of 5 starsWhy is this game so hard?! This game is soooo hard. But it looks nice.